Find Highlands condos for sale. There are 18 condo / townhouse complexes in Highlands. Additionally, there are a few small single buildings with two or more condos. Furthermore, many of the Highlands condos for sale offer water views of the Atlantic Ocean, Sandy Hook and /or the river. Many are within walking distance of the marina. Similarly, beaches and the ferry are also. Additionally, some even include a boat slip. 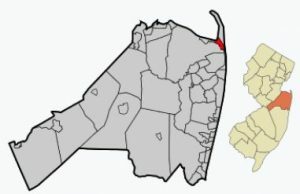 Highlands is a town in the northeastern section of Monmouth County. 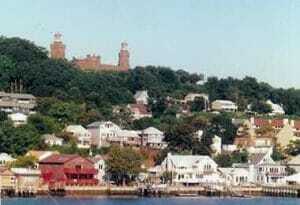 Many sections of the town are built on a high bluff that overlooks Sandy Hook and the Atlantic Ocean. Atop this bluff are the historic lighthouses, the Navesink Twin Lights. Also, there are marinas available in the harbor. The 2010 Census results showed that there were 5,005 people, 2,623 households, and 1,159 families residing in the borough. Highlands is one the nine towns that participate in the Bayshore Regional Strategic Plan. These towns in northern Monmouth County are making an effort to reinvigorate the area’s economy. Their plan is to emphasize the traditional downtown areas and residential neighborhoods, along with the natural environment of the Raritan Bay. The coastline and the maritime history are also part of the plan. Commuters to New York City find that Highlands is a great place to live since Academy Bus provides transportation. Sea Streak also offers Ferry Service from it’s terminal in Highlands. Students from Highlands condos will attend the Highlands School District. The Highlands Elementary School services children in Kindergarten through sixth grade. Students in grades seven through twelve will attend Henry Hudson Regional High School, which also serves children from neighboring Atlantic Highlands. And for instance, high school students from Highlands condos also have the option of attending one of the Monmouth County Vocational School District’s magnet schools. Also,there are numerous private schools in the area.